Wiring Notes: If the Crutchfield wiring harness is not equipped with a ground wire, you will need to ground the aftermarket head unit's ground wire to the metal chassis of your vehicle. Some vehicle's may require you to bypass the vehicle's factory amplifier (in another location from factory radio) or hardwire certain connections. If your vehicle is equipped with factory steering wheel controls, an additional adapter is required and sold separately. 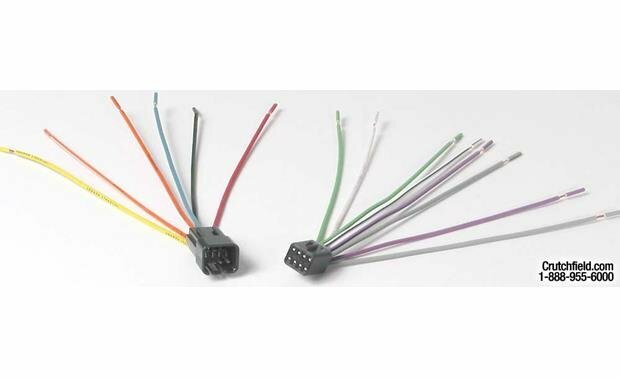 Searches related to the Metra 70-1000 Receiver Wiring Harness Connect a new car stereo in select 1986-88 AMC, Eagle, Jeep, and Renault vehicles.